The best places on Facebook to look for jobs in Israel right now. Share this list with your Israeli job-seeking friends on Facebook. Each row in the table shows the Facebook page or group logo (if there isn't one, you'll just see a Facebook logo), the name of the group or page, the number of members/fans and their official description. Whenever a group/page name is listed in Hebrew with its translation in parentheses, take it as a sign that most or all of the group's or page's content is in Hebrew, and that the description was also translated from Hebrew using Google Translate. נס טכנולוגיות – משרות חמות (Ness Technologies Hot Jobs) – 702 members – Ness Technologies Israel is the largest information technology services (IT). The company specializes in development, consultancy and integration of software solutions. Ness Technologies employs more than 7,500 employees worldwide and operates in 16 states. Career Israel – 1,394 fans – Enhance your Resume. Improve your Career. Do it in Israel. JobMob – 1,548 fans – JobMob is about bringing together job seekers and jobfinders to find jobs in Israel and all over the world. The blog is filled with expert tips and straight-talking advice based on real world experience with lots of humor thrown in. Job Opportunities in Israel – 1,579 fans – Looking for a job in Israel? Have a job opportunity to offer in Israel? Or just keeping your eyes open? Tel Aviv's Best Jobs – 1,613 fans – The best job listings in the Tel Aviv area. Israel Chesed Opportunities JOB OPPS – 1,637 members – I hope that others will post Job Opps in Israel to this page as well. CJI – Computer Jobs in Israel – 1,730 fans – Computer Jobs in Israel (CJI) has been available via email since June 1993. This home page was started in April 1996. Arabjob – 1,788 members, Arab/English – a company founded in 2007 for a labor force interested in the assistance and guidance of Arab academics to find a job commensurate with their qualifications and professionalism. מקצוענות בגיוס עובדים (Professional Recruiting) – 1,858 fans – HRD Company invites all professional recruiters in Israel to join the conversation and develop the professionalism of all of us managing recruitment processes. The Gay Network- Gays helping Gays find a job in Israel – 1,945 members – Around the world there are networks that promote gays and helping them find jobs. Much easier to get an interview through someone recommended. Let's support each other. GVAHIM – 2,057 fans – Helping Olim and Israel Reach New Heights! Hi Tech & Telemarketing Jobs in Israel for Native English Speakers – 2,063 members – Jerusalem and Tel Aviv have become worldwide capitals for technology, web development, telemarketing and call centers. Native English speakers who seek employment in hi tech or sales jobs are available in abundance. English speakers in Israel should join this group. Small and large businesses who seek employees to work should join us as well. There are no secrets. Tell us the good, the bad and the ugly. Amdocs Israel Recruiting – 2,069 fans – For 30 years, Amdocs provides software, services and quality solutions to telecom companies and the world's largest communications providers, and offer our customers the solutions and the most advanced business services in the telecom market. Come and join an international company that employs more than – 19 000 employees and affects millions of people worldwide. Urban Recruits – 2,245 fans – Urban Recruits is Israel's premier employment firm, specializing in linking talented and ambitious job seekers with exciting job opportunities. Hebrew is often not a requirement. הייטק בדרום Negev Jobs – 2,295 fans – Source of information and updates on trends and high-tech jobs in the South of Israel. CPSJOBS – 2,486 fans – CPS JOBS is the first private recruiting company in Israel that specializes in placing professional and management staff to Hi-Tech, Bio-Tech and Clean-Tech companies. דיאלוג Dialog Jobs – 3,074 fans – Dialog is Israel's leader in technology placement. Dialogue and experience of over 13 years of recruitment hi-tech, finance, executives, operations, marketing and administration. Looking for a Job in Israel – 3,204 members – Let's help each other network and find jobs in Israel. We all know how challenging this process can be for olim, Israelis and tourists living in Israel. Israemploy – Jobs in Israel Network – 3,359 fans – Israemploy is an organization which assists prospective, new and veteran immigrants prepare for the Israeli employment market and find work. Ethosia – 3,416 fans – Ethosia is a leading group for human resources and placement in high-tech, biotech, cleantech and capital markets. מאגר משרות לעבודה מהבית (Working From Home Jobs Database) – 3,763 members – If you do not have time to work full or part time, if you’re tired of running the office all day, if you need income supplements and if you want to have a little variety to the normal grind. Students, pensioners, young parents with a baby, the disabled, laid-off, recovering from sickness, recently resigned, available, lazy or just seeking employment – is the place for you. Real jobs to work from home in various areas – Design, programming, clarinet, research, data processing, administrative management, marketing, promotion, teaching, sales, customer service and more. דרושים – חיפוש עבודה (Jobs-Job Search) – 3,847 members, Hebrew/English – an aggregator of job listings from around the Israeli job sites. Jobinfo – 4,099 fans – Builds together with you the full working community of Israel. Work is life – so we came to enjoy! Archijob – 4,205 fans – Leading website in Israel in the fields of architecture, interior design, industrial design, planning and construction. Archijob serves as a home for the professional community and also appeals to the public. 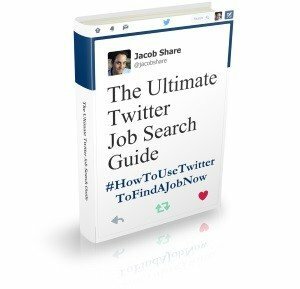 Archijob includes professional, business, social and thought-provoking content. Janglo – 4,751 fans – Janglo's job listings in Jerusalem and Tel Aviv are Israel's best job listings. In addition to browsing our listings on the site, you can also subscribe to the daily email list or subscribe to our RSS feed. רשימת משרות פנויות לסטודנטים (Student Jobs List) – 4,776 members – Studying at college? University? Technion? Or any other place in the country. If you’re a student or at this age, this is the place … This group is designed to respond to students seeking part-time work or complete their degree course and find it difficult to find one. Our forum publishes jobs from all parts of the country in the hopes of finding work to help students' welfare. JOBS123 חיפוש עבודה (JOBS123) – 5,709 members, Hebrew/English – Jobs123 is a job search site that allows easy and convenient, fast and friendly job search with access to the largest database of job listings in Israel. This site is a platform for jobseekers and companies who want to advertise jobs. Nefesh B'Nefesh – Jobs in Israel – 5,847 members – The Employment Department at Nefesh B'Nefesh has created this group as a virtual way of posting and sharing a sampling of the job openings and employment related events across the country. www.jobzone.co.il – 6,365 fans – If you are currently looking for a job, or if you are an employer looking to recruit new employees to your ranks, on JOBZONE you'll find exactly what you are looking for. Visiting JOBZONE, you'll discover a wealth of attractive opportunities in all areas of labor and employment. Jobnet – 6,605 fans – Jobnet provides employment solutions quality to a diverse audience of job seekers from all fields: high-tech, administration, sales and marketing, industrial management, manufacturing, finance, social sciences, exact sciences and more. משרות חמות (Hot Jobs) – 7,072 members – Hey, we’re Galit and Uri, we have lots of connections in the world of human resources and placement, so our friends often send us high-quality jobs that are waiting to be staffed. We found ourselves sending and receiving many emails which is why we built the team in order to concentrate everything in one place and expose a few more people to these jobs. לסטודנטים ובוגרים ג'וב טוב – משרות חמות jobtov.co.il – 7,294 fans – JobTov is a placement agency from the new Student Union of Tel Aviv University. We specialize in recruiting students and new graduates for jobs that allow a combination of work and study and gaining initial professional experience. חיפוש עבודה Runner.co.il – 8,228 fans – Runner is a free service that is designed to help the job seeker reach many relevant jobs effectively. iSavta.co.il – 8,388 fans – iSavta.co.il is committed to connecting you, caregivers, with employers and agencies all over Israel, wherever you want to work. We offer the easiest way for caregivers to look for jobs in Israel. משרות בין חברים (Jobs between friends) – 8,794 members – In this group, HR and management training experts from different organizations, and in general, are encouraging a real social networking between HR managers and members who are looking for work. 888 in Israel – 8,891 fans – At 888holdings we believe that the success and strength of the company is determined by its people; We invest time in the recruitment and selection process; We work hard to locate talented and skilled individuals who can contribute to the success of the company. At 888holdings we offer candidates attractive positions such as: Affiliate Managers, Media Buyers, Product Managers, Account managers… Our recruitment process varies depending on the role and can include an HR interview, a professional interview with a line manager and academic/professional testing. JOBS FOR ENGLISH SPEAKERS IN ISRAEL – 9,200 fans – Just post your Job offer or yourself. please no spam and no MLM. Check our discussion tab! Israel Executive Jobs – 9,217 members – This group is the premiere place for job postings in Israel, substantive networking events, & for Israeli companies looking to do business abroad. משרות מחברות היי-טק בישראל (Jobs high – tech companies in Israel) – 10,117 members – Direct access to the hottest jobs in high-tech companies, without the mediation of placement companies. drushim.co.il – 13,029 fans – The No. 1 job board in Israel according to a Time survey. AllJobs – 28,816 fans – Get advice from our job search and career experts and stay updated on the world of employment. עבודה בחו”ל – Maka – 30,591 fans – Looking for work abroad? You have come to the right place! Portal Maka is a comprehensive website in Israel for overseas jobs, with the largest database in the country. עמשרות הייטק בין חברים, לפני שמתפרסמות בחברות כ”א (High-tech jobs between friends, before you post in as) – 38,208 members – This is the place to publish the vacated positions you have heard about or are looking for from companies / Start-ups / etc. If you are employed, share here the rumors among friends before the posts are published on placement websites who do not understand what you are really looking for and sometimes even charge a fee… Besides, it’s most fun to work through / with people you know:) Jobs listed only in the hitech domain. 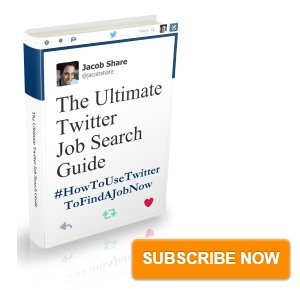 Subscribe to JobMob via RSS or email and follow me on Twitter for more Facebook job search resources. You’re missing some of the biggest groups. Nir – you’re right! What an oversight, considering that they’re in our old list. We’ll add them right away. Tel Aviv’s Best Jobs at https://www.facebook.com/tlvjobs has 1605 likes, beating out some of your top 35. Great resource though. Thanks for sharing! Zev- thanks for telling me. We just revised the list based on Nir’s comment, bringing the total to 50 but yours belongs as well, and I expect to hear from others too. We’ll revise again next week, and I’ll mention it here. Don’t forget the Anglo-Israel Job Network with 3,700 members!